Beer Fellows: Winter warmer doubleheader! We are closing out winter warmer month, next week we dive into February and the inky darkness that is the wonderful world of stouts. So on that note, unless Brian has something up his sleeve, let’s finish out strong with two solid winter warmers. 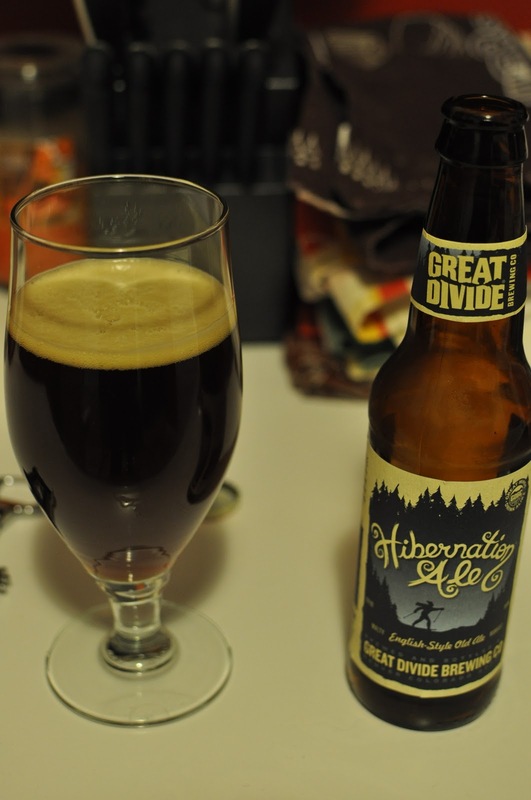 The first is Great Divide Brewing Company’s Hibernation Ale. This is beer is the definition of an English style winter warmer. I poured this into one of my new session beer glasses, a nice bronze color, it was clear, set up with little head and but a nice malty smell wafted up from the glass. On the drink it has a good malty mouthful that slightly masks the alcohol and body wise it is lighter than you expect. That is not to say it isn't burly, it has a good deal of weight but it is not knockout heavy. There is some carbonation but it gives way to a smooth swallow and a fairly malty aftertaste that does linger for awhile. You do feel a nice pleasant warmth when it hits the stomach. This was a beer that we had drunk and discussed on the podcast (episode 2) several weeks before. Both Dan and I agreed that it was a quality session beer. It will do very well either in the tavern /pub when it is cold outside or if you just want to kick back after a long, cold day. I really like this beer and it is partly because it is what you would expect a classic English winter warmer to be if you just read the description. This is the beer that you are imagining. I miscalculated and drank my last bottle for this review. I would have liked to cellar one to see how it ages because I suspect that it should hold up very well and age gracefully. Next year I will be doing just that. I am looking forward to the 2012 edition of this and will be grabbing several sixers of it. We cellar Hibernation until late October, when it reaches the peak of perfection, This lengthy aging process gives Hibernation its revered malty richness, complex hop profile and hearty warming character, which is perfect right out of the bottle or cellared for longer period of time. Hibernation is a lively treat that really beats the winter chill. This scrumptious, collectible, and imminently cellarable ale is only available for six weeks each year, from November 1 to December 15. Hibernation Ale is the perfect gift or accompaniment to your winter festivities. they weren't kidding about the bitter part. This is a bitter beer, and while bitters are normally not very "bitter", this one actually does have some genuine bitterness to it. That is not necessary a bad thing, just something to be cognizant about when you go to drink it. It poured a very clear deep amber, copperish color with a small head. It has a nice malt smell to it also. On the drink there is a light carbonation element, and it goes down smoothly but a slightly sweet bitterness reemerges quite strongly in the aftertaste. While it comes in at 7.5% ABV, very little alcohol taste is noticeable. Rest assured though, it is definitely there. The main thing I will remember from this beer though is the ever present bitterness. It was noticeable on the first drink and it floats around for long time in the aftertaste. You will continue to be reminded of this beer if you don't cleanse the palette afterward. I feel that some people may be turned off by this but I would encourage you to work through it. 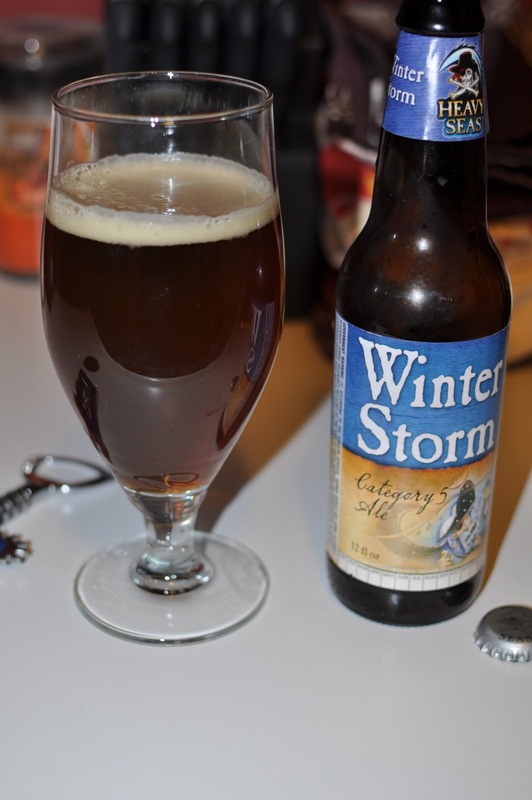 It is a very drinkable and sessionable winter warmer beer. I will be purchasing it again. Here is the "party line" on the Heavy Seas Winter Storm. Our winter ale brewed with copious helpings of English malts and both U.S. and English hops making it a ruddy hued Imperial ESB in style. Full malty flavors dancing with powerful hop aromas and a lingering yet firm hop bitterness. Pairs well with very sharp cheddar, stews, and grilled ribs. Good to hear about the Hibernation. I'd been wanting to try it but never had the chance this year. Will definitely make a point to have it next year. It really is a great representation of the classic English winter warmer. For the history guy in me that gets it extra points. Loved it.